Located on a lively street, the building was completely renovated in the year 2000 and offers a total of 16 apartments and 3 studios over 4 floors. Various facilities are available to guests including an inviting seating and sun terrace in front of the hotel, an elegant foyer with lifts, a currency exchange desk as well as a 24-hour reception. There is also a café and an air-conditioned restaurant. 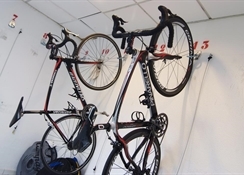 In-house Internet access, a medical service and a car and bicycle hire facility are also available. 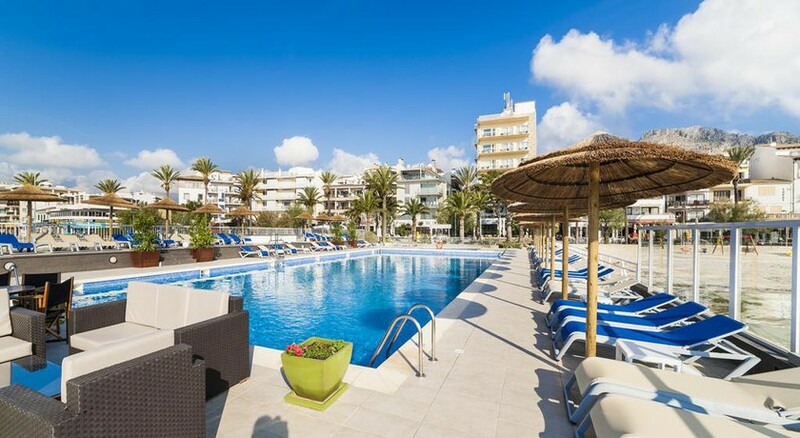 This popular apartment complex is centrally situated in Puerto Pollensa, just one street from the seafront promenade. The nearest fine-sand beach lies within metres of the apartments. Countless shops and entertainment venues are also located in the immediate vicinity. The stylish apartments include an en suite bathroom with hairdryer, a lounge area, a telephone, a kitchenette, a fridge, central heating and hire safe. Guests are offered a terrace, which has been built into the sea and includes a saltwater swimming pool with separate children''s pool, parasols and sun loungers. It is also possible to gain reduced admission to Pollensa golf course. Three times a week, a dance evening takes place. 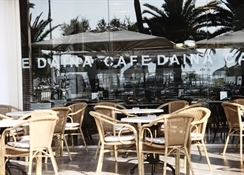 Guests can use all of the facilities of the Hotel Daina just over the road, including a swimming pool with separate children''s section, snack bar, buffet restaurant and TV lounge. Clients can use the pool by the sea, belonging to the Hotel Daina.In Hotel Daina opposite: A bar and a cafeteria. The Daina has a mixture of traditional and modern décor, with a friendly atmosphere. Perhaps its most outstanding feature is the swimming pool, which is set into a jetty over the beach. Comprising of 16 apartments and 4 studios, each equipped with air conditioning, central heating, telephone, kitchen (fridge and electric rings), lounge/diner and bathroom. The One bedroom apartments also have a separate bedroom and studios have a combined living area/sleeping area. Rooms have 2 or 3 single beds, air conditioning, satellite TV, Wi-Fi, full bathroom and balcony. Sea view rooms, side sea view rooms and single rooms (without balcony) are available. Studios and 1 bedroom apartments have a kitchenette and the same facilities as rooms and are located behind the hotel. Studios and apartments for sole use are available. In the centre of Puerto de Pollensa, just 25m from the sea, beach and from the quay of the Yacht Club. There are a plenty of shops, bars and restaurants all just a short stroll from the door. The airport is approximately 75km away.